A major rescue operation was launched just after 9am today. A 25-YEAR-OLD man has died following a diving incident off the coast of Wexford this morning. The Marine Rescue Coordination Centre in Dublin told TheJournal.ie that it received a call from Wexford Sub Aqua Club at about 9am today after a diver had got into difficulty and surfaced rapidly. 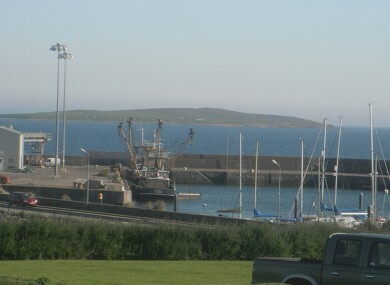 Believed to be from the Wexford area, the man was in a diving party of four near the Saltee Islands. The Waterford Coast Guard helicopter and Kilmore Quay Lifeboat were immediately deployed to the scene. However, first to the divers was a local fishing vessel, Ocean Breaker. The crew took three of the divers on board. Meanwhile, Rescue 117 helicopter transferred the seriously ill casualty to Waterford Regional Hospital, where he was later pronounced dead. Another of the divers was transferred to a decompression chamber at Rosslare for observation as he had also made a slightly rapid ascent. It is understood that the divers were experienced and the correct indications were given before the quick ascents. Email “Diver dies off Wexford coast”. Feedback on “Diver dies off Wexford coast”.